We are all trying to achieve the ideal weight, trying to shed just a few more kilos, a few more inches with limited success. Do you feel your friend has a better deal than you? Can she eat to her heart’s content and still manage to keep the kilos off? Have you been off food for the longest time and are still struggling with your weight? You may not be eating right! The key to losing weight is to eat the right kinds of food that rev up your metabolism and make your body burn more calories. Eating right has to be a commitment that you keep for life. This book will help you make the choice to eat healthily. The quantity of food eaten, the interval between two meals, physical activity done daily are all factors that need to be worked upon to keep the weight you lose from coming back. Exercise has to be a part of your daily routine. For your metabolism to be active physical activity throughout the day is important. A sedentary lifestyle promotes weight gain. This book shares with you not only a list of foods that are healthy, but also guides you as to how to cook them to make them interesting and flavorful. Sample diet plans have also been incorporated as a bonus for the reader. To help you stick to your diet, you need to keep changing the food you eat, feel free to do so. You can choose to eat any food that is rich in fiber and gives you ample of protein, the right type, to boost your metabolic system, give you more energy and make you more productive. With time, you will be able to judge what works well for your body. 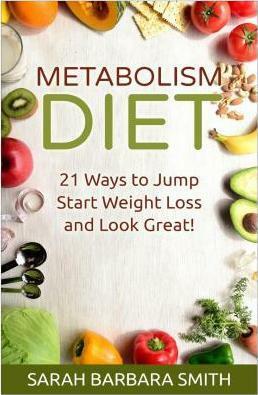 So grab the book now and start the diet of a lifetime!